Difference between revisions of "Exselo Desktop"
* Save search profiles for future use. * Select between different result views. * Files from local disk. * Files from network shares. * Files from cloud stores. * All your data from Outlook. 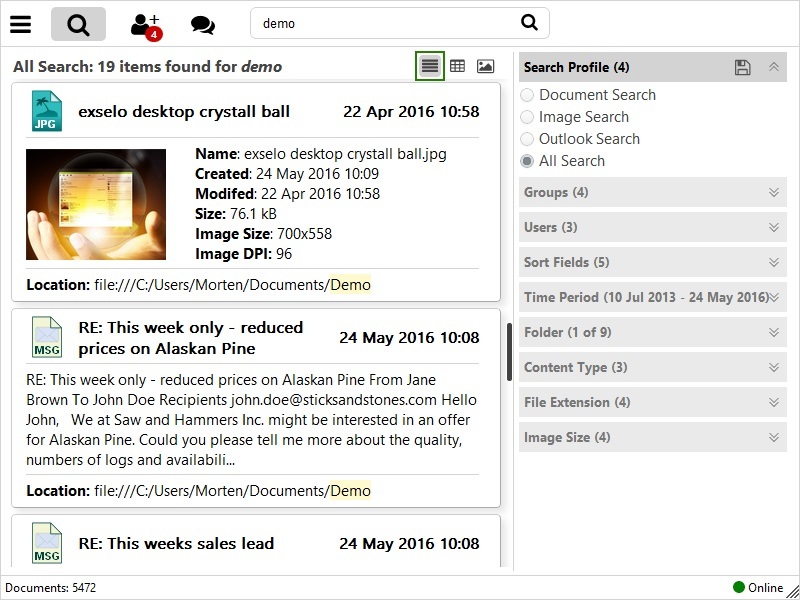 * Integrated search in Outlook. * Enterprise distribution through tools like Microsoft SCCM.